Hello, my friend! It sure has been awhile. I don’t know where the time has gone, but I’ve really missed your smile. My oh my. It has been awhile. The last few months have been filled with job hunts, landing a job and dealing with hosts of medical issues I hadn’t thought possible. I’ve thought a thousand times about sitting down at the computer to write, but the serious lack of energy / inspiration / motivation has kept me away. So I thought I would play a little catch up and hopefully it won’t be such a long time before my fingers grace the keyboard again. First: What in the heck is going on in the world? I mean… SERIOUSLY? In the past few months, it seems there has been a triple-dose of crazy run amok. I normally try to steer clear of more of the political hot-bed topics as this is more or less a me / writing type of blog. But let’s just get down to brass tacks here. This could be the bones of some great writing material. In coming up with ideas for writing, I like to call my idea-file the “What If File.” Don’t laugh. I’m only creative on the page, not in my organizational skills. I leave that to my youngest daughter who is an organizational Jedi Master. But I digress. Back to the original thought of the here and now lunacy. What if – the world actually thought it was okay to let Iran play with nukes? What if – a once great Olympic athlete were given an award for courage, not for his athleticism, but for his, now her, transgendering to the masses and there was no public outcry, it was just another day at the office because no one cared? What if – after a mass murderer is sentenced for killing a bunch of people in a theatre, a copy cat hundreds of miles away in another state lathers, rinses and repeats the same horrific crime? You see where I’m going with this? Take today’s headlines and ask yourself, “What if…” It’s a beautiful concept. I have always loved astronomy and while I admittedly played with Barbie’s as a young girl, I also used my telescope to look up to the stars and wondered about what was out there. It’s a vast universe and the Hubble Telescope, long-range scans and other missions to the great beyond are showing us just how much. This brings me to a couple of points. 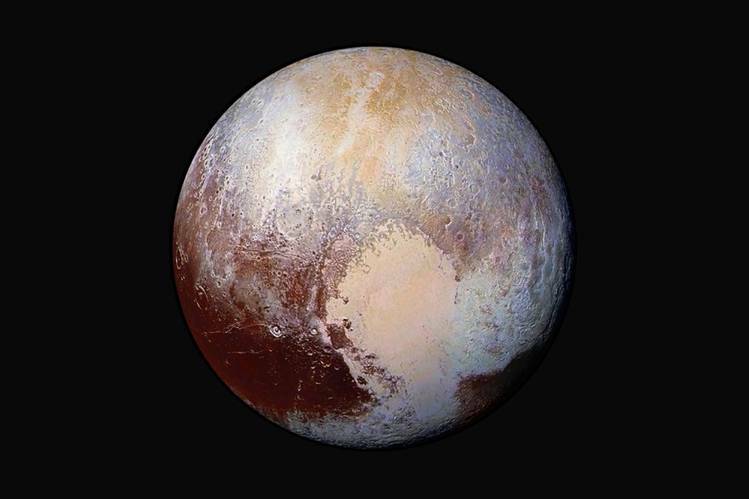 Pluto. I don’t care what NASA or any other scientist says. To me, it’s still a planet and the visual images recently released are spectacular. My last thought of the day and love me or hate me, this is what I believe. There’s this ugly thing in the world today called “racism.” I’m going to say this straight up, it’s not going to stop. It’s an issue that runs deeper than the color of one’s skin. It’s an engrained mental process and it’s an issue of the heart. A person has to want to change their thinking, their beliefs, their heart and so many people don’t believe they have a problem. This holds true for whites, blacks, reds, yellows, oranges, greens, blues…. you know what I mean. It’s not a black and white problem. It’s a human problem. The only solution is to learn to love and love unconditionally. It would stop a lot of the hate and violence in the world. But there will always be hate and violence in the world because that’s part of the greatest story ever told. On that note, I bid you a good night. Adieu!